Ho, ho, ho! Merry Christmas! For today I thought it appropriate to discuss the reindeer spirit animal. Since Santa is now in bed asleep from all of the traveling, and his reindeer are now safely tucked away for another year, what better way to honor the childhood dream of Christmas? The reindeer comes to you to remind you to stay focused, fight the good fight, and don’t forget to keep your goals in sight. They encourage you to keep on keeping on because the end of your emotional and/or spiritual journey is coming to a close. It doesn’t mean you’re going to die. It means that you have learned the things you needed to learn in order to reach elevation. The reindeer also reminds you to trust in yourself, and more than anything, get away from drama! Avoid drama-queens and drama-kings at all costs. Let your red nose shine. The arrival of the reindeer also whispers, “Take a leap!” They come to you to tell you to close your eyes and move forward; take a leap of faith. You can truly fly, but you must believe that the impossible is possible. Let go of your fears. Let go of your personal hang-ups. GO! You got this! The fact that you are having faith in the new journey helps build your trust and your instincts. What does a reindeer person embrace? They are usually very family oriented. This person will be a skillful communicator. He/she will be a very social animal and do well in leadership positions. You are a guide to most folks and help people see the new directions they can take. You are mindful of others, including their needs. This means that you are probably involved in the community in some capacity, whether it is volunteer service or a paid position. You tend to wander and always have your eyes peeled for new places and new experiences. You are the adventurer. You may like to travel to places you have never seen. Once you’ve done that, you cross it off of your list and move on. Reindeer in the wild are a hearty bunch. They live in colder climates and move as families. Both male and females have antlers and keep them year-around. Reindeer also form bonds with humans in the wild. They can perform tasks similar to that of the horse, thus the reason why they pull sleighs for Santa. They actually do perform this task for their humans. Cars and trucks won’t go in deep snow or on ice, so what better way to move about your world than a sleigh pulled by one or two of these gorgeous beasts? In the spirit, these animals help you be a true visionary. Keep up that heart-felt determination! Additionally, the reindeer symbolize shamanic vision. These animals are filled with magic. Their antlers are the most mystical part of the animal. 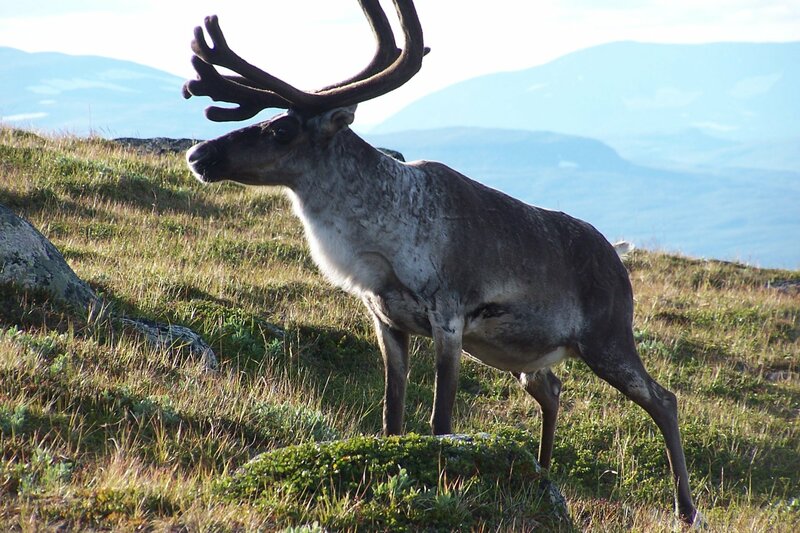 Legend says that they store their memories in their antlers, dating back to their ancestors (Reindeer symbolism). The reindeer is a test-animal. This means that they will require you to test your limits. How far are you willing to go to learn the lessons you must learn? Will you work hard? Will you stay determined? Those are the questions you will be forced to answer. The journey will be long, much like the migration that the reindeer endures on the frozen Tundra. However, with sheer will and drive you can make it. The rewards are well worth it. Keeping this in mind, you can depend on the reindeer as you make your way through your long life’s journey. They make wonderful, loyal companions. At this time of year, they can pop through rather clearly, so keep your eyes open to their presence! Have a great Christmas today! I’ll be posting tomorrow about the dolphin.